Investors of Satyam everyday wake up hearing bad news about the company.Now the management has admitted that they do bad practices everyday. It was avoidable since maytas is satyam written in the reverse order.He was going to buy his son's infrastructure company.So he is going to take money from Satyam balance sheets to give to his son's company to finance ongoing infrastructure projects.The independant director resigns.We expected the others. World bank black list the software service company from being it's client due to bad business practices. Those who hold the shares pledged with them of the promoters were sold at whatever price they could get. That Satyam's balance sheets were blown up and was not real.It was virtual.About 7000 crores were misrepresented and sebi knows not a thing about that.Ramalinga Raju wrote in the letter he wrote on the ocassion of stepping down.The auditors did a good job.If they are doing this way, we can see more of this from their clients.ICAI is going to banning the audit firm who did the job for Satyam named PWC. 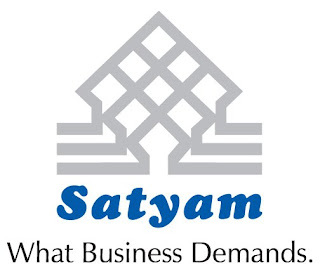 Satyam share is now trading in the level of Rs 42.61. Aberdeen has sold their share of 5.37 percent at this level and got out from Satyam.They were the largest investor. Read more about this scandal and what remains.